Two weeks ago I was sitting in Dubai waiting to fly back to London when a call came in asking if I'd like to come back to the region the following week to participate in a once-in-a-lifetime luxury event. When such fabulousness is on offer, one rarely refuses such an invitation, even if it does mean that airplanes are your second home for a while. 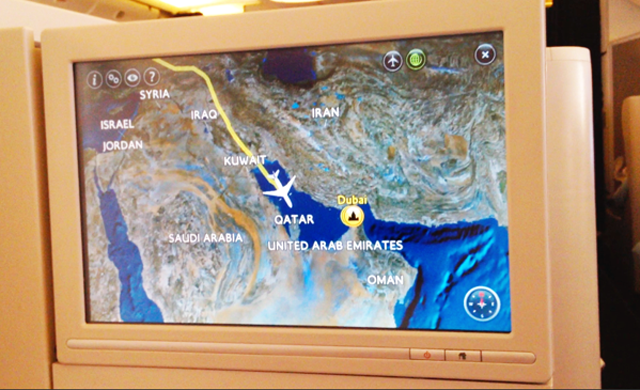 So I came back to London, packed another bag and jumped back on a flight to Dubai the following week. I was off to Abu Dhabi as a guest of the DFS Masters of Fragrance exhibition, an exhibition which has since been written up by many as one of the most prestigious moments for fragrance this year. 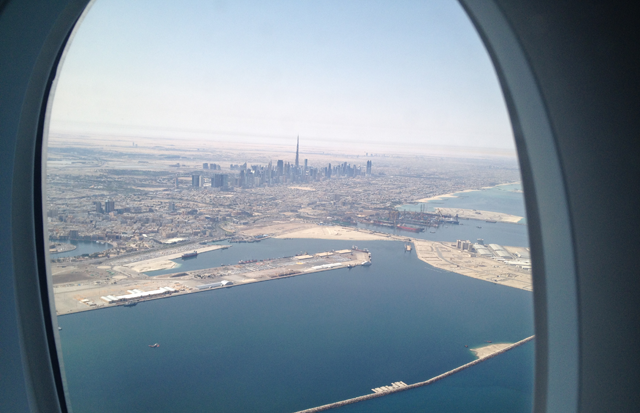 I landed in Dubai early in the morning and was driven to Abu Dhabi directly from the airport. I wanted to try and catch some further sleep along the way but was fascinated but what unfolded as we drove further into the desert. 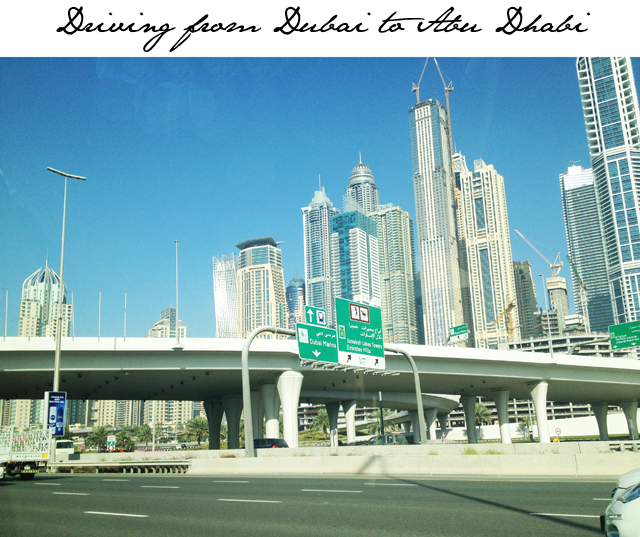 In Dubai, the amazing sky scrapers and fantastically different architecture captured my attention. As we moved out of town and hurled ourselves towards Abu Dhabi, I was looking at more desolate landscapes and concentrating on little towns that seemed to pop up along the way. 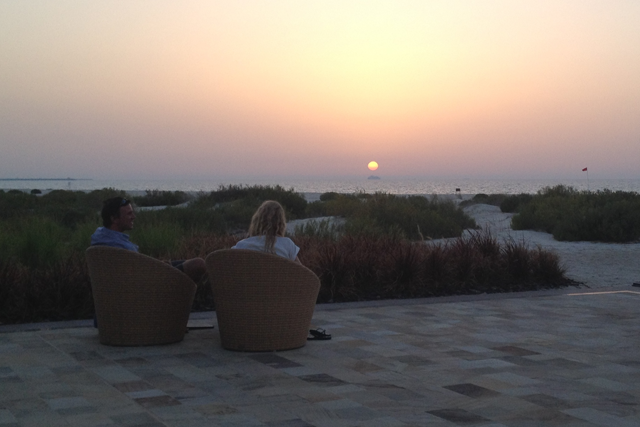 Then we arrived at the Park Hyatt Abu Dhabi. The hotel was quite simply stunning. 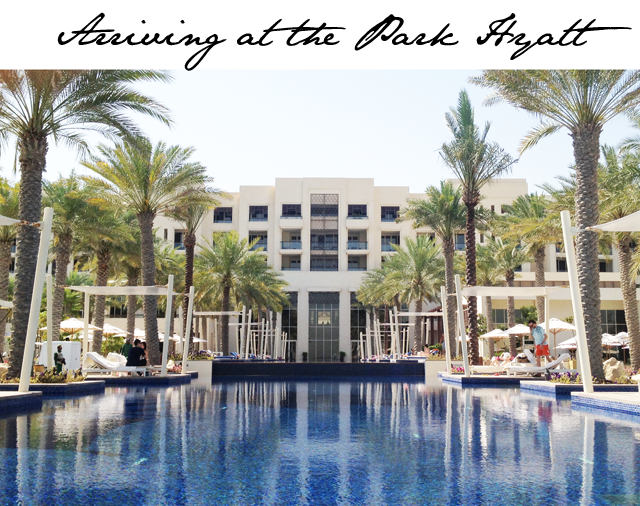 From the marble floors to the seemingly endless pool that stretched out onto the beach of the hotel, this was a certainly a grown-up's playground. But let's keep in mind, folks, that I was there to work... not play. Well, if you can truly even call any of this work. The next morning, we all gathered at the Manarat Al Saadiyat Gallery to celebrate the official launch of the DFS Masters of Fragrance. 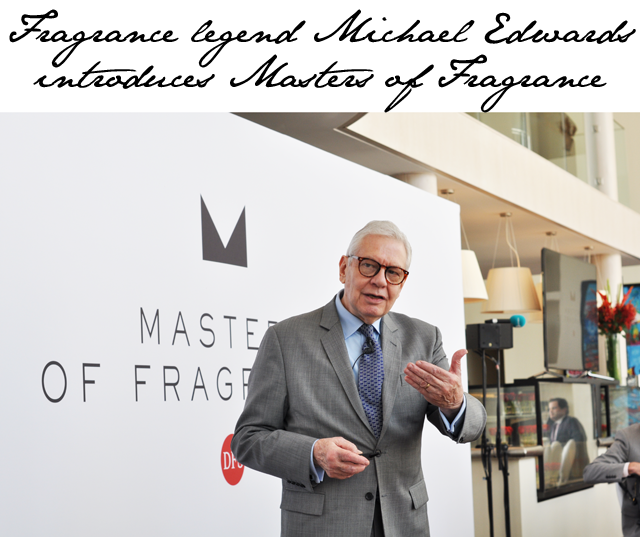 Dozens of journalists from around the world came together to celebrate this momentous occasion and we were led through the journey by none other than Michael Edwards, the true king of fragrance knowledge. Michael Edwards has worked in the industry for decades and is regarded as one of the most educated men when it comes to the world of fragrance today. He knows just about everyone in the industry and put those relationships to good use as he interviewed some of the leading "noses" in the business today on stage. 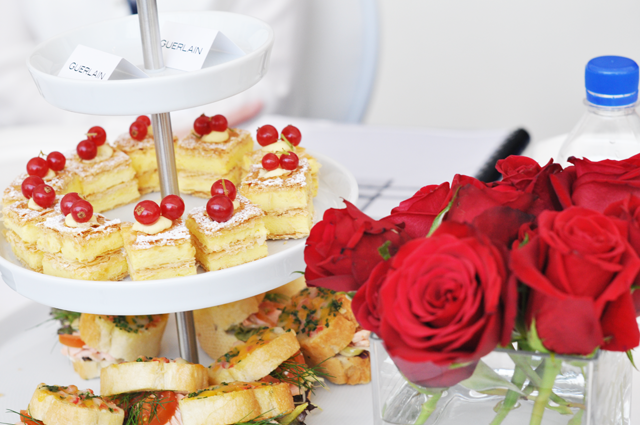 While industry leaders spoke on stage, we enjoyed an afternoon tea like nothing I have ever seen before. 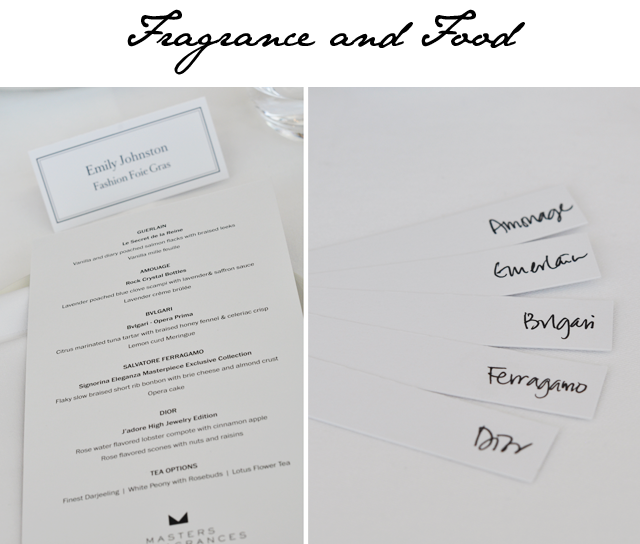 Each of the fragrance houses speaking on the day had put together a sample of treats to compliment the scents they were showcasing in the exhibition. 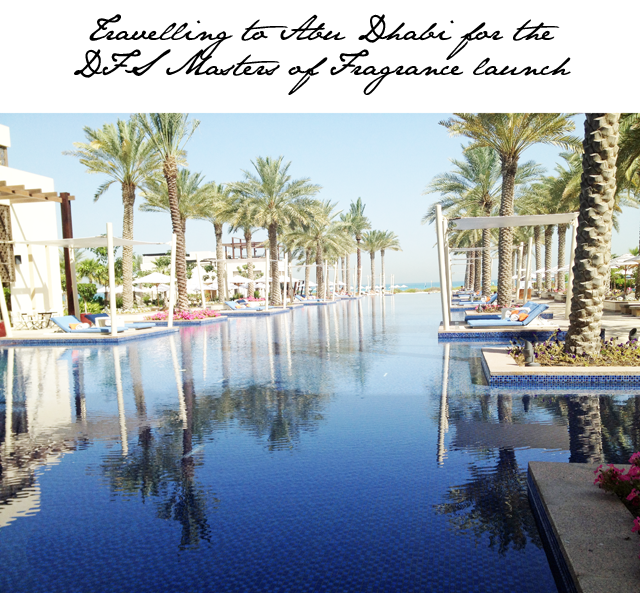 From Dior to Amouage, this was an event that had all of our senses exploding with indulgence. The tea was truly just a tease. 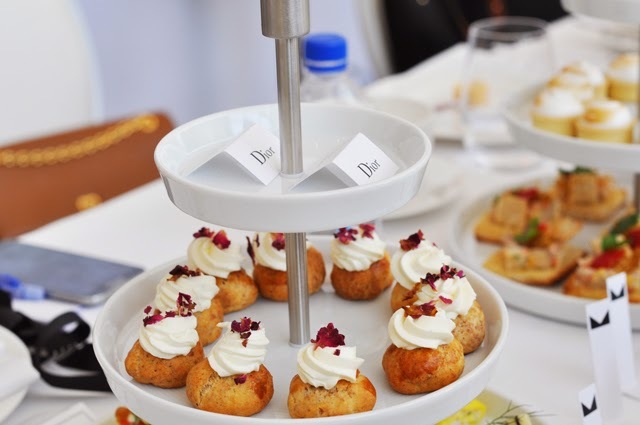 The main event was being set up just down the hall from where we were all enjoying sweet treats and relaxing chit chat about the DFS Masters of Fragrance. Finally the time came when we were set free to see the beautiful pieces, which we had been hearing about all morning. 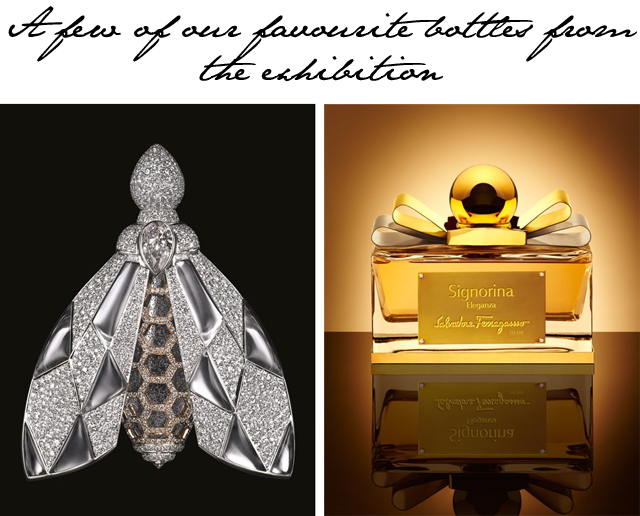 Twenty-two of the world's most prestigious fragrance houses had contributed bottles made exclusively for event. Only these weren't your average bottles, oh no. 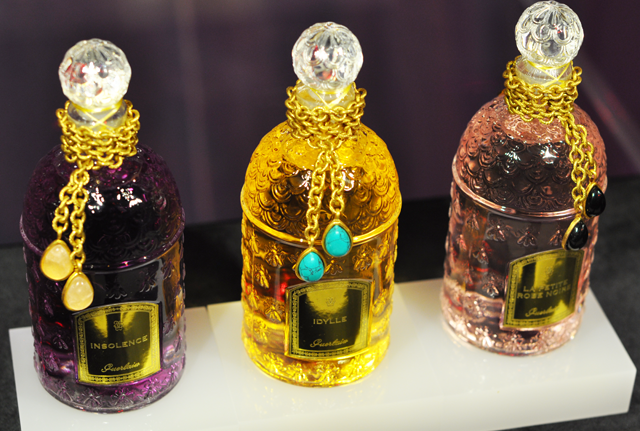 These bottles were covered in diamonds, made out of solid crystal or featured fine jewelry. 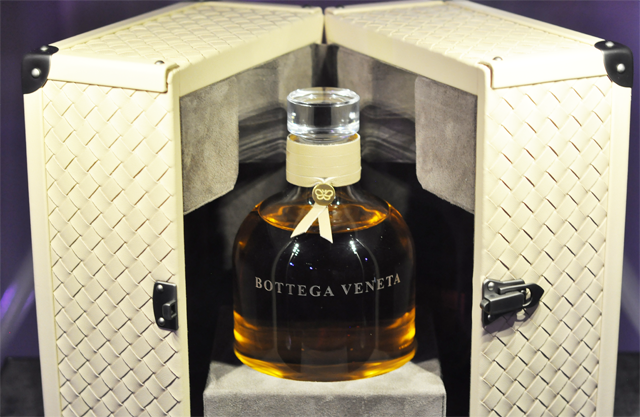 These bottles are one of a kind and have a price tag that supports their scarcity. 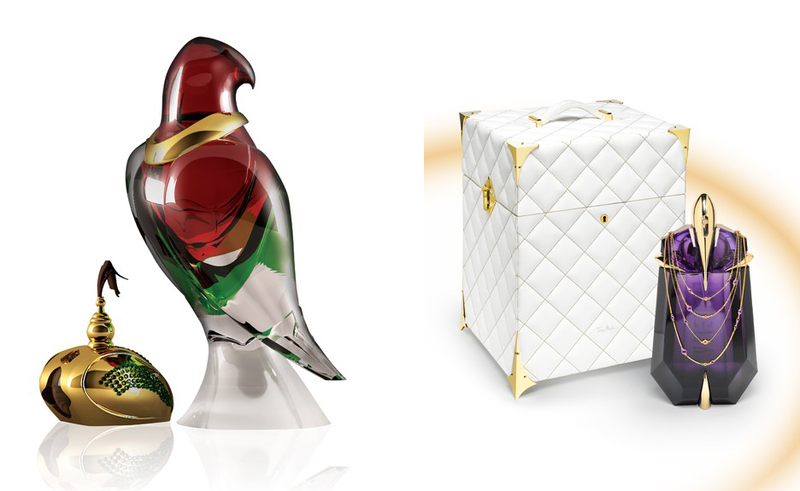 Ranging in price from $35,000 to $500,000, these bottles are most certainly not your average duty free purchase. 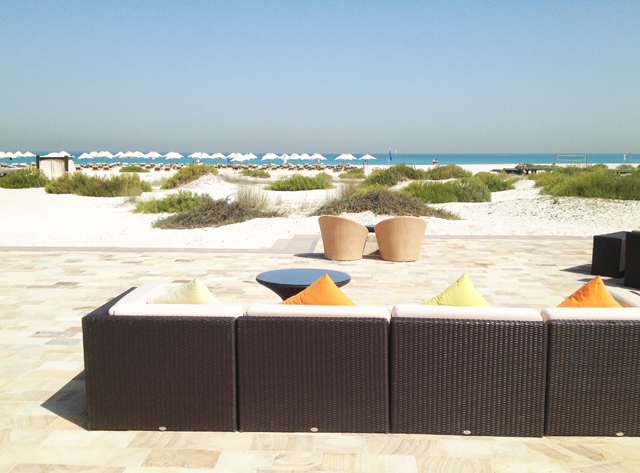 They are, however, soon to be seen at Abu Dhabi's International airport. The DFS Masters of Fragrance exhibition launch coincided with another monumental moment in Dubai - the launch of the new DFS shop in Abu Dhabi airport's Terminal 1. The exhibition will now move to it's new home, the airport, and remain through mid-June for travelers to enjoy and shop. Anyone fancy a Guerlin bottle covered with over 14 carats of diamonds? 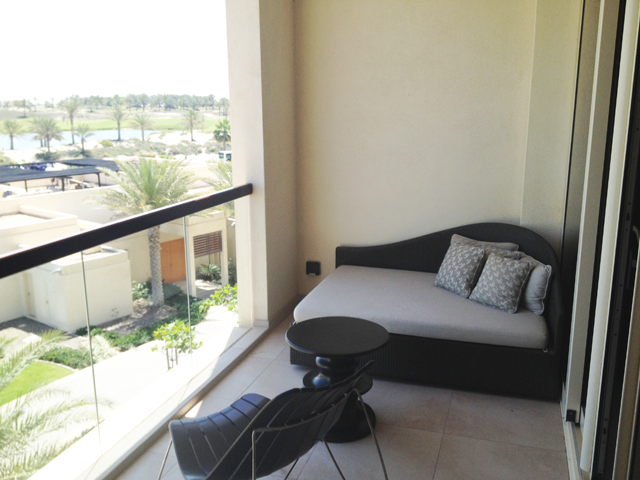 Wouldn't that make for the ultimate return travel gift for a loved one? It was all done and dusted all too quickly. Coming home and reflecting upon all that I saw, heard and, most importantly, smelled, I have a new found respect for the fragrance world. I learned so much while there for only 48 hours. 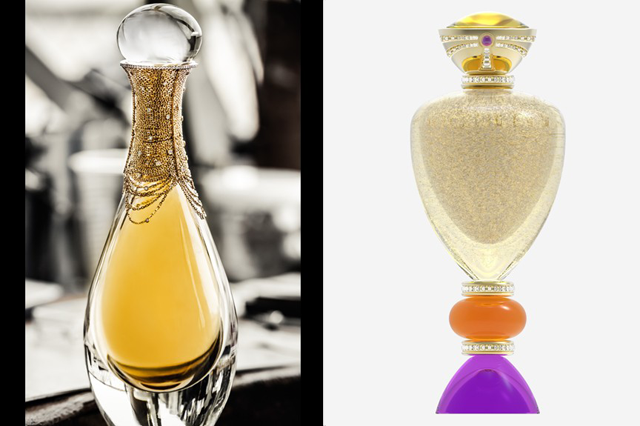 Speaking to the people behind the creation of the fragrances, the artisans behind the bottles and the wonderful individuals running DFS, I was floored by their daily dedication to scents. This truly is a remarkable exhibition and I do hope you all get a chance to see it in the flesh. There is no camera that can capture the beauty of sparkling diamonds, the overwhelmingly luxurious smell from any one of the fragrances featured or impressive collection of talents on display together all in one place. Thank you, DFS, for inviting FFG to take part in such a momentous occasion and congratulations on the start of a beautiful new series we hope will continue well into the future. 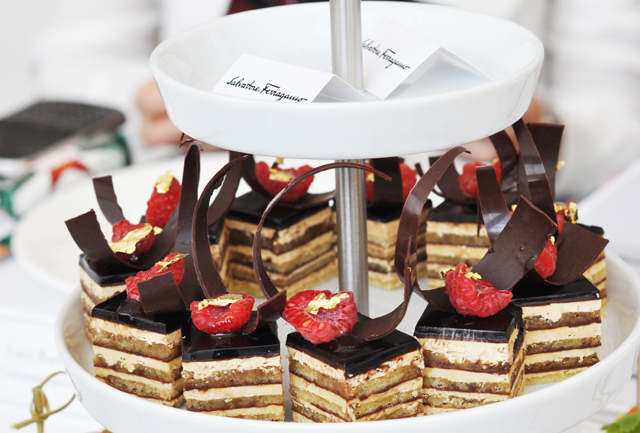 Fashion Foie Gras was a guest of DFS in Abu Dhabi.